Cutie Mark (Picture will work): Unknown. How did your pony get their cutie mark: Doesn't have one. Personality: He is friendly; but is always a little shy. He is always a little unsure about things and never seems to fully understand that he can do stuff without being told now. He is a gentlecolt most of the time from learning how to be royalty from his mother and doesn't really know how to have fun. History: The Changing Prince. That was what Chrysos was known as. His mother the queen of the Changing Hive; Chrysalis, while his father was one of the higher ranks of the Changing Army; he was born for greatness...or at least that is what his mother told him. When he was old enough; he was to lead the attack on Canterlot and to conquer Equestria; but he found no love in it. The young Prince never did fully understand his race. He knew how important love was to the Changing race as it was their food source but what he didn't understand was the whole point of having to conquer Equestria. That would get them no long...but what if they were to become friends with the ponies; not feed off of them by taking their loves ones but by gaining their loves like everypony else? Of course; his idea made him an outcast even if he was the son of Chrysalis. His mother was determined to make him see the wrong in his thoughts and for years she trained him in the way of royalty and in war, and the only pony that would show him any kindness was his older half-sister. Finally; the young Changing prince grew tired. One night; while everybody was sleeping, he did something that no changeling ever dreamed of doing...He left the Hive. For days he traveled the Barrens toward Equestria; stopping whenever he saw a town to become friends with the ponies living there in the form of a pony to get energy for his travels. It felt weird; being away from the hive, but he loved the freedom that he now had. 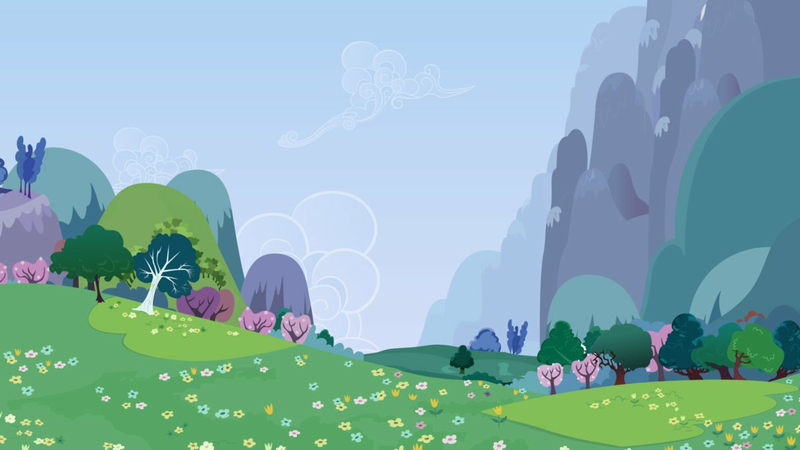 He soon made it to Equestia; and most importantly, Ponyville. And this...this is where his true story begins. Coat: Grey with red ears, legs, and wing tips. Magic Color (If Unicorn or Allicorn): Doesn't have magic. Cutie Mark (Picture will work): A pile of ash on fire. How did your pony get their cutie mark: She saved a young filly from a house fire, and the moment she gave the filly back to the mother, her cutie mark appeared. Personality: Rather quiet, she is easily put in a bad mood if bothered. However, at times she can be rather sweet and a fun pony to get along with. She is easily annoyed at ponies pointing out her ears or eyes, and dislikes anypony calling her a half-blood or anything like that. Job (If they have one): Part of the Lunar Guard, but is stationed in Ponyville. Works as a weather pony if she isn't on guard duty. History: Unlike most pegasus in Canterlot, she was part of the upper class mostly made up out of unicorns by her mother. However, because of her half-blood nature, she was looked down upon, same with her mother for marrying a Bat pony. She always felt out of place, and was made fun of because of how she had bat pony ears and eyes, but pegasus wings. Almost well into her teen years, she still didn't have her cutie mark, believing that once she joined the Lunar Guard when she was older enough, she would get her cutie mark. One day while cleaning her father's armor, she noticed smoke rising in the distance. In moments she was flying toward it. A house had caught on fire somehow, and inside of it was a trapped filly. She quickly broke into the house, and found the trapped unicorn filly, surrounded by flames. Using her wings, she was able to fend off the blaze until she had a clear path to the filly and in seconds she had her out of the house, just as the fire fighters were getting there. As she gave the filly to the mother, her cutie mark appeared, along with her father. At first he was furious that she put herself in danger like that, but soon stopped, realizing that she was just doing as the ponies of the guard were expected to do. Because of her father speaking to Princess Luna for her, she was soon put into the guard training camp. Two years after hard training, she finally became a true Lunar Guard. She was happy, finally having her dream job and her cutie mark, she usually helped with fires when they happened thought she wasn't part of the Fire Squad. But she spent time in the Lunar Guard, she grew bored of the same Canterlot scene, so when she heard that there was a job offer for the Guard in Ponyville, she quickly took it. How did your pony get their cutie mark: Wrote her first story, which her father, a famous writer, greatly approved of. Personality: She is a friendly unicorn, but is shy sometimes. She loves to make people laugh when she can, but does enjoy the silences that her library brings her. She can also find herself day dreaming if she isn't careful, but mostly does it while she is at the library by herself. Job (If they have one): Works at the Golden Oaks Library and also writes books on her free time. History: Born in Canterlot, her family was apart of the lower class, but her father was a writer, something that she found fun to do in her free time. At the age of 10, she finished her first story, and when her father told her how proud he was, she grinned in joy, and in that moment, got her cutie mark. After that she would spent most of her time reading or writing, but she never forgot to spend time hanging with her friends when she had the chance. A few years after getting her cutie mark, she set out to see what she could find her place in the world. It turned out that her dream job wasn't as far as she thought. She came to the small, quiet down of Ponyville. She loved how quiet it was, and how friendly it was. She finally came to the doorstep of the Ponyville library; The Golden Oaks Library. Left almost abandoned because of the last caretaker becoming a princess, it was gathering dust, and gave Novel the job she had always wanted. Cutie Mark (Picture will work): A flower made of seeds. The sky was a dark shade of blue, dark grey clouds dotted the sky; waiting to be taken away because it had just been raining. This didn’t matter to a dark muddy brown alicorn that raced through the royal garden, his green eyes shining as he stomped though the mud puddle, which just turned his hooves a darker shade. Behide him followed a slightly-larger yellow-ish alicorn; being careful not to step in the mud. Sol glanced at his friend and the small but growing garden around them. “Couldn’t thou pick a nicer day to do this, Avan? When the ground isn’t so muddy?” he snorted, but it was easy to see the large smile that Sol held. Both alicorns let out a battle cry as they started to fling up mud at each other, both laughing as they were splattered; the wet sticky dirt sticking to their manes and fur. Finally, after a tough mud battle; they both were laying on the ground next to each other, giggling as they tried to wipe the mud off of themselves. With a large smile, Avan rolled onto his hooves and sat up and moved to one of the dying flowers. It should have been a light purple but it now was dark purple. His horn started to glow as he kneeled down next to it. The flower started to slowly sit up, returning to its normal color. As it started to open, Avan grinned as he started to focus more on his spell. As the flower finally opened all the way up; the flowers next to it suddenly came to life, sitting up and opening up in seconds. The brown alicorn gasped in surprise as his magic suddenly turned off and all but the first flower wilted again. His hoof slipped on the wet ground as he attempted to back up, and fell backwards into a mud puddle. Personality: Avan is a very cheery pony on the outside. On the inside; he is a very upset and dark pony; knowing the hardship of live and the feeling of losing ponies close to you. He also is has the small problem that even with his life being almost endless, he has trouble of forgetting the past and this causes him to be very bitter toward Celestia and her trapping Luna and Sol. Another thing that had been bottled up inside him is his own self-loathing. Where it comes from is a bit unknown, and he rarely shows this side. However, it can come out when he feels rather down about things. Job (If they have one): None yet. To live forever seems like it would be wonderful; but to those who do; it is a curse. Born to full-blooded Allicorns; Avan lived the high life. With his brothers and sisters he was a fun loving colt. Sure it took him years to grow up; he never knew better, having never met a lesser pony. Time had no meaning to Avan; and he loved it. He would be able to long celebrate the gift of life, but he soon learned his gift was not shared by all. He knew not of any other Alicorns so when he started to fear he would not have any friends that would live with him other then for his family he set out to find more of his race. Having heard of a kingdom far across the ocean of his, he headed that way as there was rumors that it was ruled by Alicorns like him. After months of travel, he soon arrvied at a city hidden in a forest, called Everfree. After having met the three ruling Alicorns, he became close friends with the youngst two. He soon gained his cutie mark and took up the job of caring for the royal gardens. However, soon the dark day would come when the sun failed to rise and his perfect balance of life would tip. I suppose I approve myself.